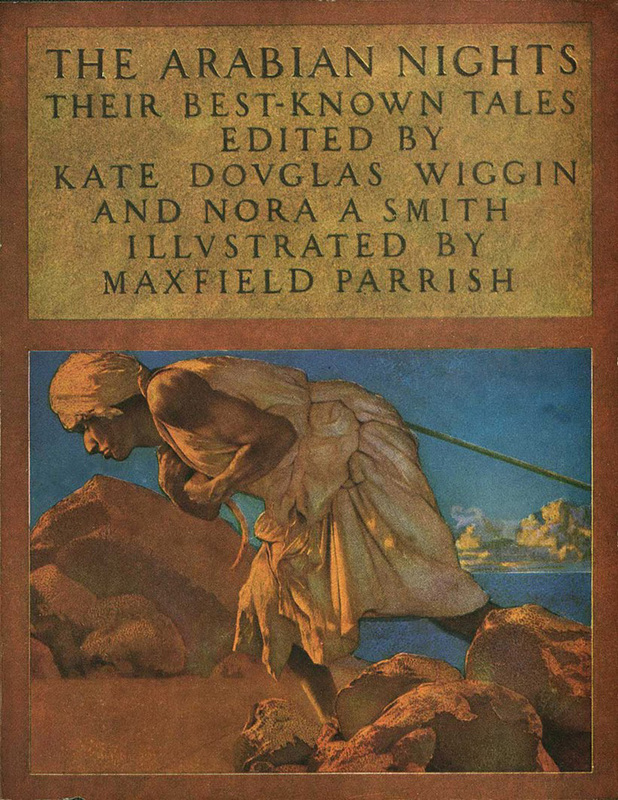 One of the most popular artists during the Golden Age of Illustration, Maxfield Parrish (1870-1966) illustrated poetic narratives set in other-worldly landscapes of ancient gnarled trees, tumbling waterfalls, and azure skies, painted with precision and dreamlike clarity. His incredible popularity was built on the expansion of the print market and the distribution of his imagery for calendars and books of poetry and tales of the fantastic. It is estimated that in the 1920s, a quarter of all American households displayed a Parrish print on their walls. 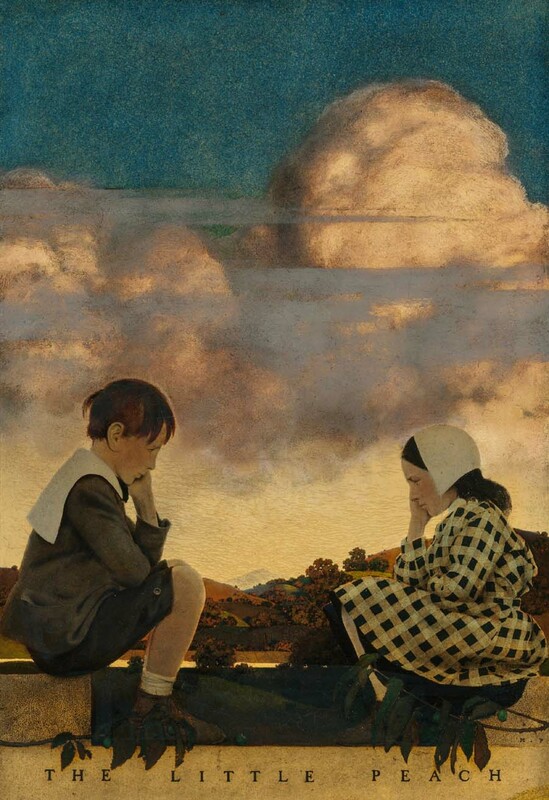 For a short time Maxfield Parrish was a student of influential teacher Howard Pyle, who also instructed illustrators N.C. Wyeth, Frank Schoonover, Harvey Dunn, and many others, though Parrish had already undergone a thorough education at the Pennsylvania Academy of Fine Art with Thomas Anshutz and Robert Vonnoh. The solid training both of these teachers had received in Paris ateliers was passed on to Parrish who added his own unique flavor to the make-believe world he would invent in paint. Parrish's unique paintings were commissioned for book illustrations, magazine story illustrations, building murals, calendars, and commercial advertisements for companies like Colgate, General Electric, and Edison Mazda Lamps. By utliizing bold colors to illustrate fantasy images, Parrish created paintings of great and lasting beauty. Cutler, Laurence S. and Judy Goffman Cutler. 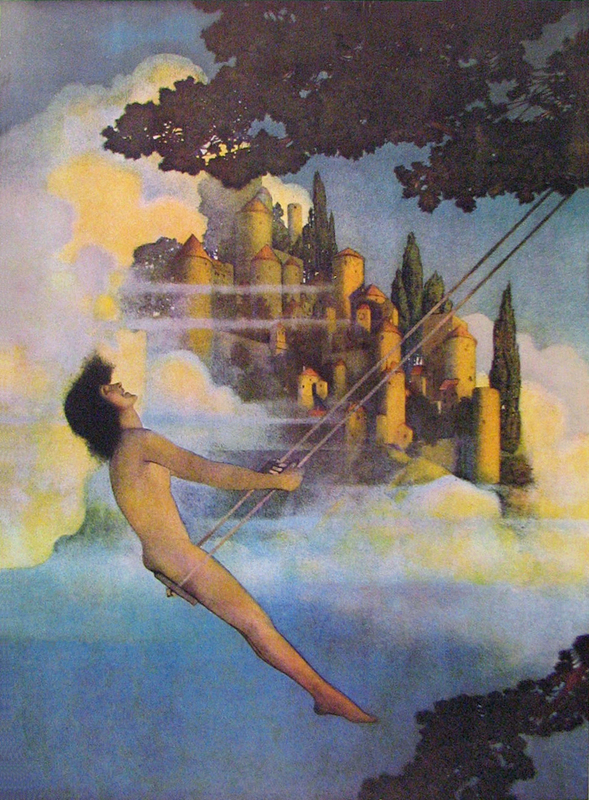 Maxfield Parrish. New York: Crescent Books, 1993. 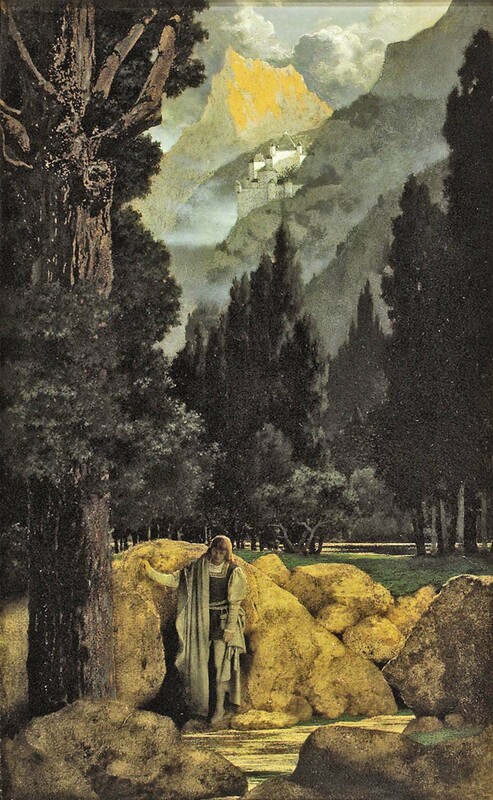 Ludwig, Coy L. Maxfield Parrish. New York: Watson-Guptill Publications, 1973. Menges, Jeff A. 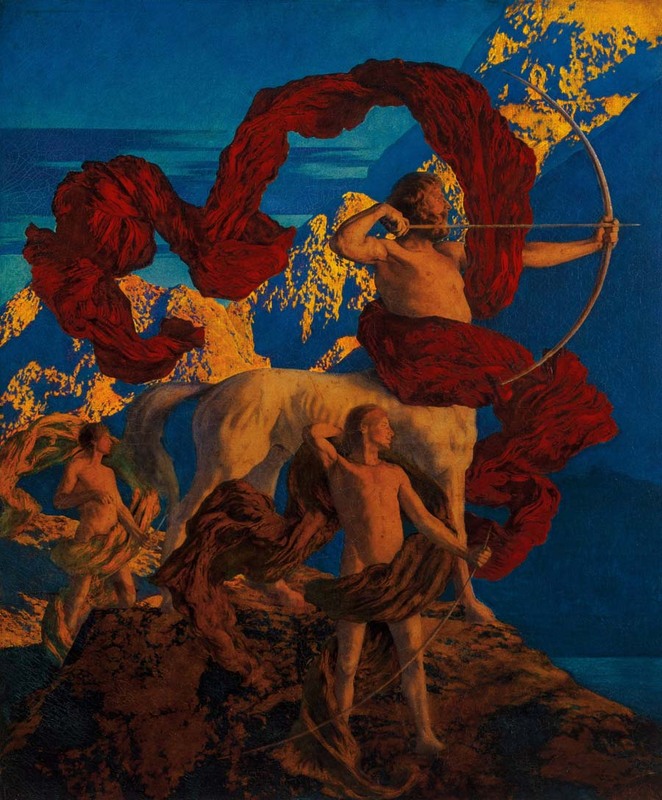 Worlds of Enchantment: The Art of Maxfield Parrish. Mineola, NY: Dover Publications, 2010. Yount, Sylvia. Maxfield Parrish, 1870-1966. New York: Harry N. Abrams, 1999.